company’s improper decision. The Company has the right to appeal. in bargaining with BCI for 20 months over contracts that expired March 31, 2017.
which led to his decision. This morning, Michael A. Fuoco, president of the Newspaper Guild of Pittsburgh, and Jonathan D. Silver, Unit Chairman, were apprised by Richard Lowe, the Pittsburgh Post-Gazette’s attorney from the union-busting Nashville, Tenn., law firm King & Ballow, that the PG will appeal the NLRB regional director’s finding this week that found in favor of the Guild’s Unfair Labor Practice [ULP] filing. The regional director found that the company violated federal law by unilaterally deciding not to pay an increase in health care. Companies involved in bargaining are required by federal law to maintain the same level of wages and benefits of expired contracts. The PG’s refusal to pay the 5 percent increase will decrease health-care benefits for 150 Guild members and another 250 members of other PG unions as of April 1. It should be noted that Lowe’s advice to appeal the finding to an administrative law judge—he gleefully said he’s willing to appeal all the way to the NLRB in Washington, D.C.–has no downside for him. In fact, it serves to continue to line his pockets and fleece Block Communications Inc., the PG’s parent company based in Toledo, Ohio. Lowe is also negotiating with the Guild local at The (Toledo) Blade, another holding of BCI, owned by the Block family, which includes BCI chairman Allan Block and his twin John Robinson Block, publisher and editor-in-chief of the Post-Gazette and The Blade. The decision is the latest by BCI that denies its workers economic justice. The Guild and other unions at the PG have been involved in contract negotiations with the paper for more than a year. The Guild’s contract, and those of other unions at the paper, expired March 31, 2017. Because of extensive wage cuts over the last dozen years, Guild members are earning 10 percent less than they did in 2006, the last time there was a raise. Also during that time, pensions have been frozen, benefits have been cut, health-care coverage has decreased. Yet the cost of everything — including the Pittsburgh Post-Gazette itself — has increased dramatically. The Post-Gazette and The Blade, like most newspapers in the country, lose money but BCI itself regularly earns more than $100 million in profits annually from its cable, TV and other holdings. Still, over the last year, in some of the most contentious contract talks at the paper in history, the company is demanding even more givebacks. Fuoco said BCI’s decision to appeal will have consequences but he declined to be specific. In late January, all Guild members withheld their bylines from their stories, photographs, columns and graphics for four days in protest of the ULP, the lack of progress in negotiations and the wage, benefit and staff cuts over the last 12 years. “We have drawn a line in the sand in these contract negotiations. This paper cannot function without its reporters, photographers, graphic artists, web editors, page designers, copy editors and other Guild members. “It’s time BCI realizes we are not backing down and there will be no concessionary contract this time. We will fight with everything we have against BCI whose actions devalue our talent and professionalism. 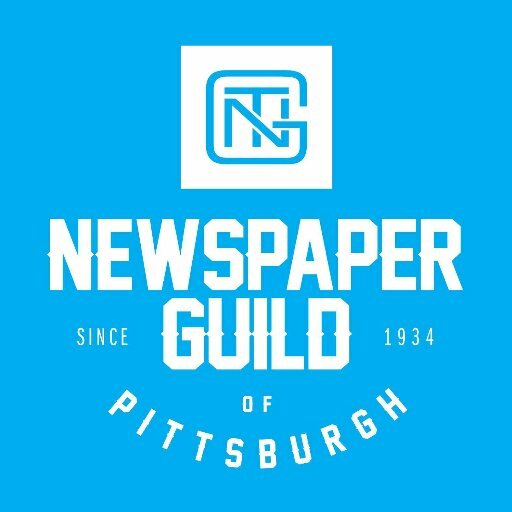 PITTSBURGH — The regional director of the National Labor Relations Board has determined that the Pittsburgh Post-Gazette violated federal law by refusing to pay a 2018 increase in the health care costs of 150 members of the Newspaper Guild of Pittsburgh while the two parties are involved in contract negotiations. Approximately another 250 unionized employees at the PG are similarly affected. The Guild filed an Unfair Labor Practice charge against the company on Jan. 12 because, through its union-busting law firm King & Ballow of Nashville, Tenn., it refused to pay a 5 percent increase in the health care premium for 2018, thereby unilaterally cutting health care benefits. Companies involved in bargaining are required by federal law to maintain the same level of wages and benefits of expired contracts. It is believed to be the first ULP the Guild has ever filed against the PG. The company can either comply with the regional director’s findings or can continue to pay outlandish fees to its Tennessee lawyers by requesting a hearing before an administrative law judge. The Guild and other unions at the PG have been involved in contract negotiations with the paper for more than a year. Its contract, and those of other unions at the paper, expired March 31, 2017. Because of extensive wage cuts, Guild members are earning 10 percent less than they did in 2006, the last time there was a raise. Also during that time, pensions have been frozen, benefits have been cut, health-care coverage has decreased. Yet the cost of everything — including the Pittsburgh Post-Gazette itself — has increased dramatically. The Post-Gazette, like most newspapers in the country, loses money but its highly profitable parent company, the family-owned Block Communications Inc. of Toledo, Ohio, is able to write off those losses and regularly earns more than $100 million in profits annually. Still, over the last year, in some of the most contentious contract talks at the paper in history, the company is demanding even more givebacks. In late January, all Guild members withheld their bylines from their stories, photographs, columns and graphics for four days in protest of the ULP and the more than 12 years of pay cuts and other concessions demanded by BCI. Those who work behind the scenes–copy editors, page designers, web editors and others –wore stickers reading “I Support the Byline Strike.” Participation among the 150 members was 100 percent. Additional Guild actions are possible should BCI refuse to remedy its current unfair labor practice and to bargain in a fair and equitable manner. We are still seeking an equitable contract with the Pittsburgh Post-Gazette but it’s difficult when only one side is trying to negotiate. We met yesterday and made no progress. In fact, in the 11+ months since our contract expired, the only proposals from the company have been concessionary — this despite the fact we made 10 percent more in 2006 and had twice the staff then AND BCI makes over $100 million profit each year. We thank you all for your continued support and will keep you posted as more information becomes available. Beginning at 11:59 p.m. Sunday, Jan. 28, 2018, the four-day byline strike at the Pittsburgh Post-Gazette by the 150 members of the Newspaper Guild of Pittsburgh will cease after successfully alerting the public of contentious contract talks that threaten the operation of the 231-year-old Pittsburgh institution. That means the names of Guild-represented PG reporters, photographers, columnists and graphic artists will return to the paper, website and other PG platforms as on Monday. While the Guild-requested byline strike is ending, it is possible some members may decide to continue withholding their bylines, which is their contractual right. During the four day protest, a total of 226 bylines–an average of more than 56 a day–were withheld from stories, photographs, columns and graphics that appeared in the print edition. Even more were withheld on the PG website, which typically carries much more content than is published in the newspaper. It is believed the last byline strike at the PG was in the early 1980s. Guild members are annually cited for their journalistic excellence with national, state and regional awards and the Post-Gazette was named the 2017 Newspaper of the Year in Pennsylvania. The byline strike’s success precipitated its end, Fuoco said. “We always planned for it to last only as long was necessary for us to get the word out that the company’s concessionary proposal is completely unacceptable after 12 years and counting of pay, benefit and staffing cuts. In 2018, Guild members earn 10 percent less than they did in 2006. Any reasonable person can see that this cannot continue. “With the massive national and regional publicity, we are confident that most people now know the fate of the Post-Gazette lies in the hands of parent company Block Communications Inc. of Toledo, Ohio. Should BCI not do so, there will be more mobilizations of increased intensity and escalation, he said. During the 12 years Guild members have earned 10 percent less than in 2006, pensions have been frozen, benefits have been cut; health-care coverage has decreased. Yet the cost of everything — including the Pittsburgh Post-Gazette — has increased dramatically. Still, over the last 10 months, in some of the most contentious contract talks at the paper in history, the company is demanding even more givebacks. It is true that the Post-Gazette, like most newspapers in the country, loses money. But its highly profitable parent company BCI is able to write off those losses and regularly earns more than $100 million in profits annually. While the Guild typically keeps negotiations confidential, BCI’s refusal to move off its draconian proposal has forced us to go public. •	Allowing the company the unilateral right to determine the number of hours in a Guild member’s work week, meaning it could be none (all members are currently guaranteed 40 hours a week). •	The unfettered right to use freelancers, managers and third-party vendors to perform work over which Guild members have had jurisdiction for more than 80 years. •	The ability to lay off anyone for any reason at any time and out of seniority (currently, there needs to be an economic reason; the company must meet with the Guild to try to find an alternative; and any layoffs must be by seniority in work categories). •	The ability to unilaterally change health-care benefits at any time (currently, any changes must be negotiated). Moreover, the Guild recently filed an Unfair Labor Practice charge against the company because, through its union-busting law firm King & Ballow of Nashville, Tenn., it refused to pay a 5 percent increase in the health care premium for 2018, thereby unilaterally cutting our benefits. Companies involved in bargaining are required by federal law to maintain the same level of wages and benefits of expired contracts. It is believed to be the first ULP the Guild has ever filed against the PG but given its disregard for the rule of law, there was no choice but to do so.